05.27.16 | #MDW2016 Memorial Day Weekend 2016 presents KENT JONES PERFORMING LIVE at Studio 23 ~ Phresh Hott New! Tonight! 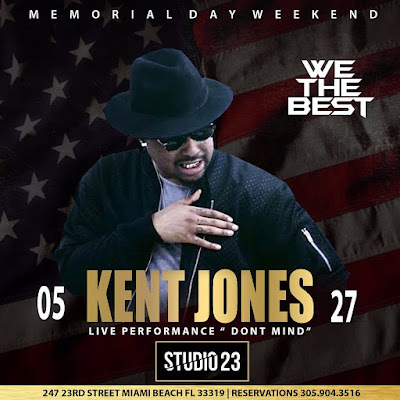 Memorial Day Weekend 2016 featuring Kent Jones Performing Live “Don’t Mind” at Studio 23. STUDIO 23 | 247 W 23RD ST. Miami Beach Fl. 33139 | Miami's newest multi-million dollar multi-purpose venue!